Nordic walking is a physical activity which consists in walking in a sustained way with help of specific sticks. Extremely popular in the Scandinavian countries, it combines stamina and muscular strengthening; this is why it is a complete sport. Bungypump walking is a variant of this activity. It is with sticks containing springs, what increases the muscular work. 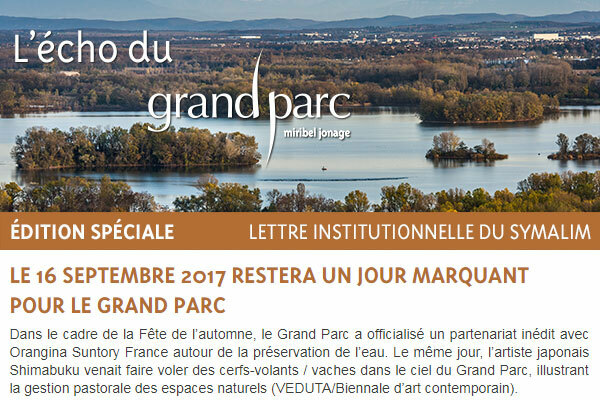 In summer and winter, these sports allow keeping fit while enjoying the natural environment of the Grand Parc. The use of sticks favours muscular development of the upper limbs, a special feature that do not exist in traditional walking or running. Sportswear and walking shoes, sticks are provided. Sylvie Vitelli is a graduated and certificated instructor in Nordic and Bungypump walking. Discover the Nordic walking with these introduction lessons, you will learn the fundamental technic before walking on paths of the Grand Parc. This is a perfect activity to leave stress of the week behind and exert in group outside. Sports equipment (pair of Nordic walking sticks). On Friday 8th and Tuesday 26th. This is a healthy sport surrounded by nature that permits to reinforce muscles of body aThe bungypump sticks (fitted with a pump system of 20cm with 4, 6 or 10kg of resistance), also offer many exercises and allows to work inferior and upper limbs in coordination. Sports equipment (pair of bungypump sticks).